Recently I was cleaning my room and I came across a box that I haven’t unpacked since my move last July. In it were random odds and ends and some toys that decorated my last apartment. One of these toys was my ED-209 from 1989, a toy made by Kenner that was based on the cartoon that was based on the original Robocop movie. 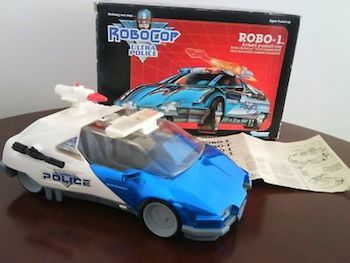 I’ve always had a place in my heart for Robocop’s moronic and malevolent robot adversary and have held on to this toy because it’s that cool. I also remember as a kid being perplexed as to what the story of Robocop was. Since the original Robocop was rated R (and almost worse before some scenes were deleted) I couldn’t convince my folks to rent it and let me watch it. It wouldn’t be until 1990 when my friend Kevin and I sat down and watched this very violent and batshit awesome action/SF/social parody, which was partially due to Robocop 2 coming out that year. Looking back there were a lot of toys that I either owned or came across that were similarly based on movies that were totally inappropriate for kids. So here’s a rundown. – Robocop: In the late ’80s no character from an almost then-X-rated movie captured the hearts and imagination of America quite like Robocop. With a reboot in theaters it’s telling that it’s now a PG-13 movie, since it’s easier to justify a marketing blitz targeted at children and preteens (not to mention higher ticket sales themelves). But looking back it’s absolutely amazing the waves made by the cyborg peace keeper. Robocop and ED-209 even made an appearance at the 1988 Academy Awards ceremony while Pee Wee Herman presented the award for Short Live Action film. Robocop had a cartoon called Robocop and the Ultra Police, comics put out by Marvel, kid-targeted toys loaded with exploding caps and video games galore, but as time went on and marketers became more savvy it seemed like the interest from kids waned. It was as if we got hip to them dumbing down the original perfection of Paul Vehoeven’s 1987 masterpiece. 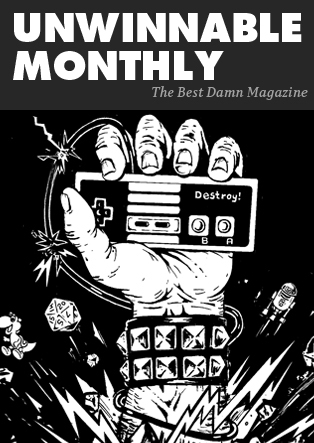 – Dune: While doing research for a recent Unwinnable article I wrote I was amazed at how much cross-promotion went into this wacky and complicated David Lynch film – one that arguably isn’t really geared for kids. Still, from a merchandising standpoint there really were hopes to make this into the next Star Wars franchise. 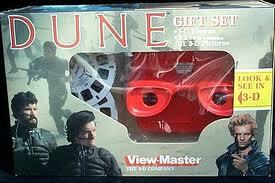 Not only was there a line of toys made by LJN but there was also a comic book adaptation, View Master slides, puzzles, bedsheets, cardboard party plates, trading cards, a pencil case, and a belt buckle. The history of Dune sometimes is as bizarre as the original Frank Herbert stories themselves. – Alien & Predator: I remember seeing a portion of Alien at a very young age. My dad was watching it on TV and I happened to walk in the den during the final Ripley and alien showdown. When my dad said he was watching a movie called Alien I was immediately intrigued, and then immediately terrified. I was five at the time and had never seen anything so tense, so mysterious and terrifying. I bought all the Alien toys I could find, then did the same thing in the (eventually) related Predator series in the decade to follow. The Alien and Predator creatures were so popular on their own that a spinoff cartoon didn’t even need to be made. 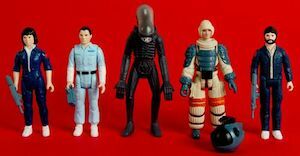 Weirdly, there was a line of Aliens toys produced by Kenner that started coming out in 1992 that seemed to be loosely based as much on James Cameron’s 1986 movie as they were on a cartoon show or videogame that never existed. They had lots of fun rocket firing weapons and kung fu grips so these were definitely toys for kids. At some point the Predator was added, years before the abysmal 2004 movie. This suggests that maybe the toy line was an adaptation of the wildly successful Dark Horse Comic series that began in 1991. Even stranger are the recently reissued Kenner figures from the aborted line based on the original Ridley Scott Alien. While an infamously sought after 18” figure was released in limited quantities there was also a line of 3.75″ figures that borrowed in some ways from the similar sized toys based off Star Wars. Before the movie was given a rating or even viewed toys were rushed into production, and then withdrawn when people actually realized what kind of movie this was going to be. Since little kids all flocked to the theater to see an alien monster slaughter the crew of a cargo ship. – A Nightmare on Elm Street / Friday the 13th: Much like Robocop, Freddy Krueger and Jason Voorhees were ubiquitous in the late ’80s. I owned NES games and other randomly related objects to both of these major franchises way before watching any of the movies. My cousin and I watched A Nightmare on Elm Street 4 not long after it came out on video and he eventually acquired the talking Freddy Krueger doll (which alarmingly was not unlike Matchbox’s talking Pee Wee Herman doll). We also played the horrifically frustrating Friday the 13th NES game. There were also trading cards for Nightmare on Elm Street. One of the weirder things that I owned were these little Madball-like squirt toys called Spitballs – I had a Jason Voorhees head as well as one of a random screaming dude. This is years before the McFarlane Toys collector’s market so I’m pretty sure they had kids in mind when making them. Again, no cartoons or anything, it was truly the cool association of the characters that drew kids in, but in retrospect how weird is it that they just didn’t make cartoony toys based of these famous movie serial killers? There are more examples but more like random one-off things than anything else. For example it’s a little bizarre to me that figures were made from the long , dark, and dense journey of the soul that is Dark Knight Rises. Yes it’s Batman, but what kid under the age of 10 was sitting through that? (I barely did.) That said, there McDonald’s did a Happy Meal for the equally bizarre Batman Returns, where every main character manages to murder. I guess it boils down to the fact that in the ’80s and early ’90s movies that were meant for kids were often a bit messed up, which is maybe an article unto itself. In a way things like the Robocop action figures are seeds planted in the heads of the youth, making them want to seek out and watch these forbidden movies. It also makes space on the nostalgia memory shelf alongside He-Man and Bugs Bunny for the alien chestburster and a sandworm of the planet Arrakis. In other words, we all have weird mental collections. Follow Michael Edwards on Twitter @edwardsdeuce.